The Get In The Car Group of A.A. welcomes newcomers and is committed to providing a clear and adequate presentation of the program of Alcoholics Anonymous for them. When they attend their first meeting at our group, one of our members will be happy to visit with them after the meeting to share everything they need to know about how to get started. 5 Things To Know About A.A.
1. The only requirement for membership is a desire to stop drinking. 2. There are no dues or fees for A.A. membership. 3. A.A. is not allied with any sect, denomination, politics, organization or institution. 4. It does not wish to engage in any controversy. 5. It neither endorses nor opposes any causes. Our primary purpose is to stay sober and help other alcoholics to achieve sobriety. – Am I an alcoholic? If you repeatedly drink more than you intend or want to, if you get into trouble, or if you have memory lapses when you drink, you may be an alcoholic. Only you can decide. No one in A.A. will tell you whether you are or are not. 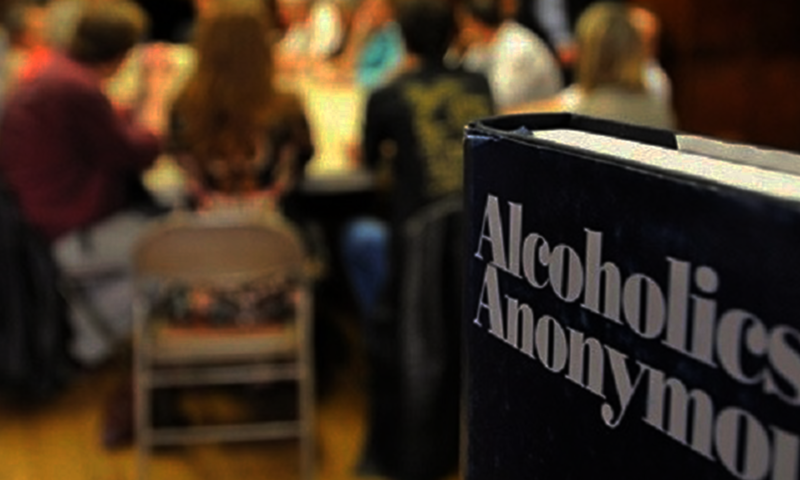 – What is Alcoholics Anonymous? We are a Fellowship of men and women who have lost the ability to control our drinking and have found ourselves in various kinds of trouble as a result of drinking. We attempt — most of us successfully — to create a satisfying way of life without alcohol. For this we find we need the help and support of other alcoholics in A.A.
– If I go to an A.A. meeting, does that commit me to anything? No. A.A. does not keep membership files or attendance records. You do not have to reveal anything about yourself. No one will bother you if you don’t want to come back. – What happens at an A.A. meeting? An A.A. meeting may take one of several forms, but at any meeting you will find alcoholics talking about what drinking did to their lives and personalities, what actions they took to help themselves, and how they are living their lives today. – How can this help me with my drinking problem? We in A.A. know what it is like to be addicted to alcohol, and to be unable to keep promises made to others and ourselves that we will stop drinking. We are not professional therapists. Our only qualification for helping others to recover from alcoholism is that we have stopped drinking ourselves; and problem drinkers coming to us know that recovery is possible because they see people who have done it. – How do I join A.A.? You are an A.A. member if and when you say so. The only requirement for A.A. membership is a desire to stop drinking, and many of us were not very wholehearted about that when we first approached A.A.
– How do I get a sponsor? There are several ways to get a sponsor. One, listen in meetings to those sharing, and when you hear someone share, and what they say resonates with you, or you say to yourself, “I want what THEY have” – ask them after the meeting if they are taking on new sponsees. Or, visit with the meeting chair after one of our meetings and let them know you need to find a sponsor, and they will be happy to help you find one (even if it’s only temporary to get you started). – Is going to meetings all I have to do? Meetings are certainly an important part of the A.A. Fellowship, however, they ARE NOT the solution to our problem. Our solution is found in the first 164 pages of our Big Book. Getting a sponsor and learning how to take (not study – not work) the 12 Steps of Alcoholics Anonymous so that you can experience the “personality change sufficient to recover from alcoholism” – IS the solution to our problem. The primary purpose of our group is to provide the newcomer a clear and adequate presentation of the program of Alcoholics Anonymous through the sharing of our rich and personal experiences of its Three Legacies (Recovery [Steps], Unity [Traditions], & Service [Concepts]).